Lately I’ve seen many different types of genres in games, most having unique elements to both character designs and gameplay itself. I’ve also had the opportunity to try out games that aim to specific segments in the industry and they could easily expand their borders. But it’s always fun when developers just ‘smoosh’ things together and elaborate on a completely ridiculous yet fun idea. 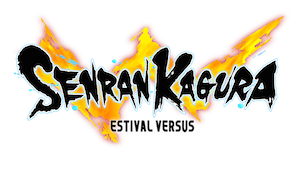 Marvelous Inc, in collaboration with Tamsoft and North American release by XSEED Games, they bring us the strange yet appealing world of SENRAN KAGURA: ESTIVAL VERSUS. Notice: I will mention this right away so it doesn’t affect the entirety of the review further on. 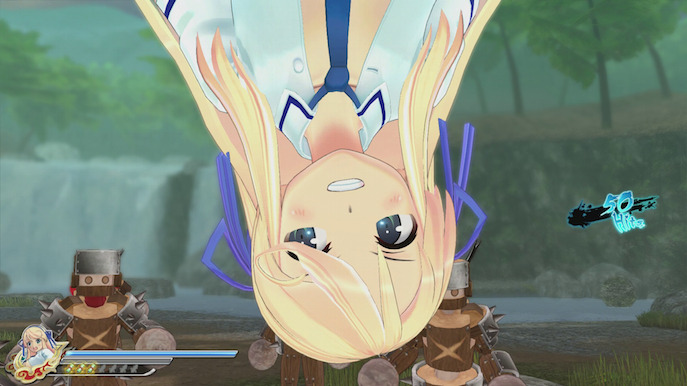 Yes, the game has a lot of fan service, quite a ridiculous amount actually. However most marketing techniques are specialized in focusing on specific audiences, that usually is not an easy endeavor, hence, the reason I applaud the effort put into this and I mean c’mon, we need different games from our regular AAA shooters that can be all around silly. Nevertheless, if you don’t like how characters are overly sexualized in these titles, I would advise to keep a distance, on the other hand, they are quite all right for this category. 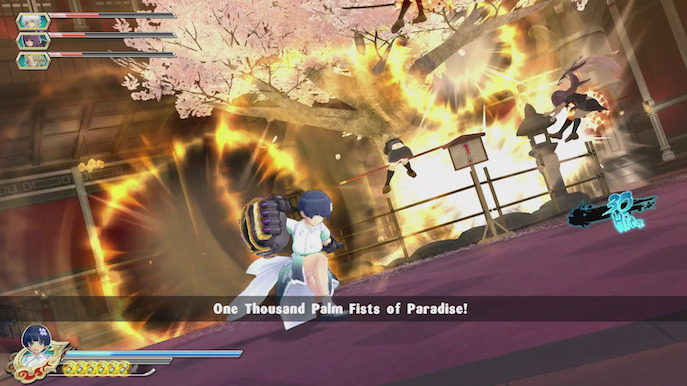 In this version of the game, the cast of shinobi (ninja) girls are transported to a strange universe, where it’s basically an island paradise (how strangely convenient). Here you will meet past characters and the whole drama assignments to the script are phased into the whole idea of “departing love ones”. It’s a bit difficult to explain without spoiling, but basically we’re talking about a new parallel story! With the whole tropical summer vacation idea, this feels like some sort of crazy (or regular) anime OVA, which honestly wouldn’t surprise me at this point. I will admit that the writing for characters is simply funny, and some twists can be surprisingly decent. There are also many mysterious factors that get presented to you the longer you play, keeping you with intrigue for what will happen next. OKAY, BUT WHAT ABOUT THE GAMEPLAY?! Hold your swimsuits. The game is an action “buxom” beat-em-up, featuring heavy amount of enemies that can be chain combo’d by the different varieties of attacks you get, you get this with fight scenes, health bars, upgrades, special abilities and last but not least; clothes customizations. You go through plot missions that are linked to specific characters, however you can still enjoy the whole cast and try them again to test your favorite character’s combos. 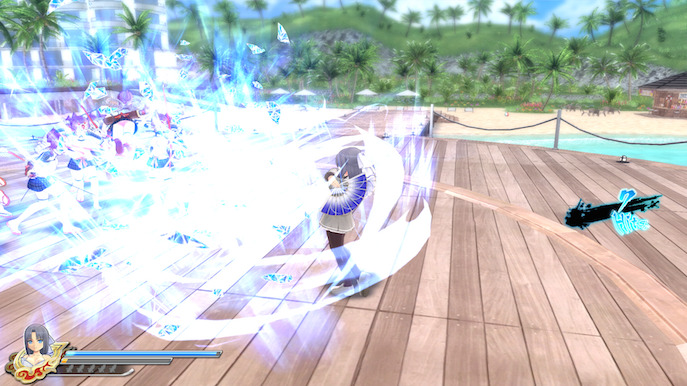 There is a very…extraordinary feature; your characters transform, and by that I mean they remove most of their clothes and change to swimsuits, increasing their damage output but reducing the defensive traits. After watching the transformation animation with a bit more to show than what you would expect, your character is stronger and ready to fight. 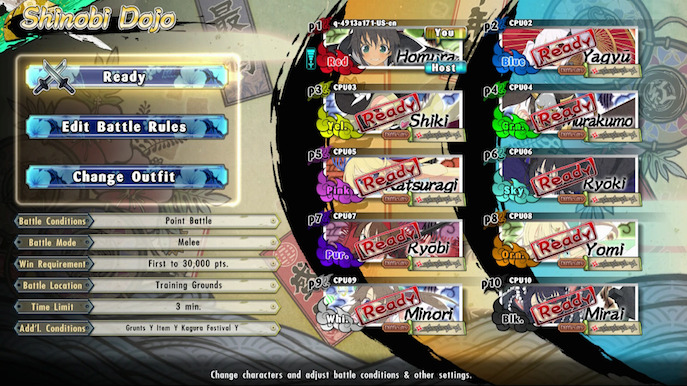 Each has their own play style, some more interesting than others however. Gameplay mechanics are very straightforward, it’s very difficult to get stuck or not comprehend the fluidity of the game, which is a plus. On the other hands, pacing can be affected at times due to cutscenes, but this is something most games like in this particular genre are affected by. As for funny and strange gimmicks, you can do many things in this version now with the PS4 controller. Activating modes by clicking on both analogues enables a variety of functions for each character filled with creative and totally not creepy actions (of course they are!). I will leave that to your imagination and exploration when trying the game out. The whole theme of a beach, swimsuits, fruits, the vast blue sea, it helps the game have a very relaxing tone, it also has a color palette that combines quite well with each of the characters. Some would say the cast looks a bit generic, but I do like to admit that some of the characters shine more than others in terms of image impact. 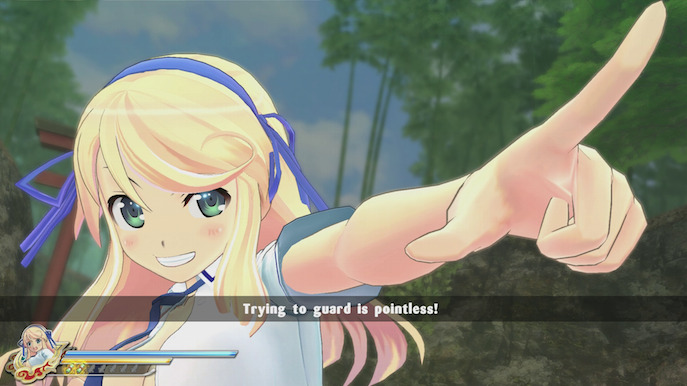 The anime style features are very common now in the industry, but in this series, Senran Kagura feels unique in it’s own way, of course the comedy factor goes side by side with this. I have to admit, even though there are some framedrops here and there, the game looks stunning. 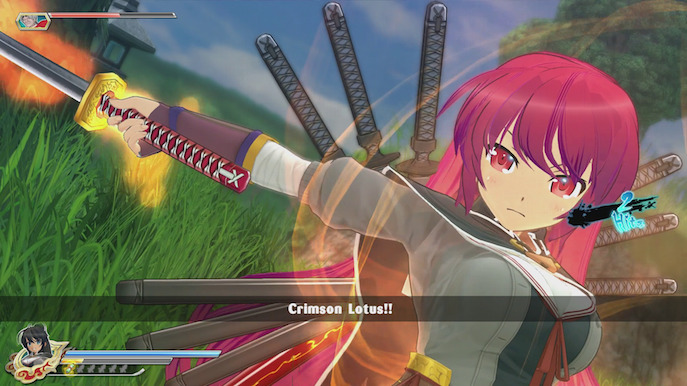 It is probably one of the best looking 3D anime style games out there currently. In this title, there is a wise combination of tracks that resemble both an oriental shinobi feeling, plus a relaxed ambient for the summer. Music is pleasing and the cues are appropriately implemented during specific scenes. The sound FXs are decent but may be affected by the repetitivity of spamming the same attacks. The PS4 version of the game looks gorgeous, animations are fluid and gameplay makes it worth your time if you like beat-em-ups. This version will also offer a bunch of DLC and new characters that I’m sure the fans of the series will be glad to see (I know some of them, and they look pretty awesome). 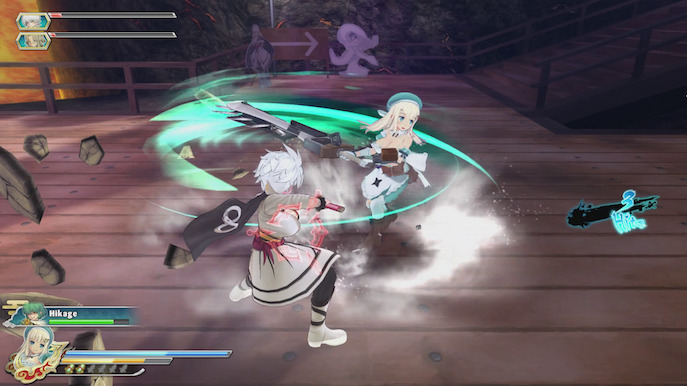 It also features multiplayer modes with a lot of potential and we can expect most (if not all) of the Japanese content to be ported to the American version of the game. 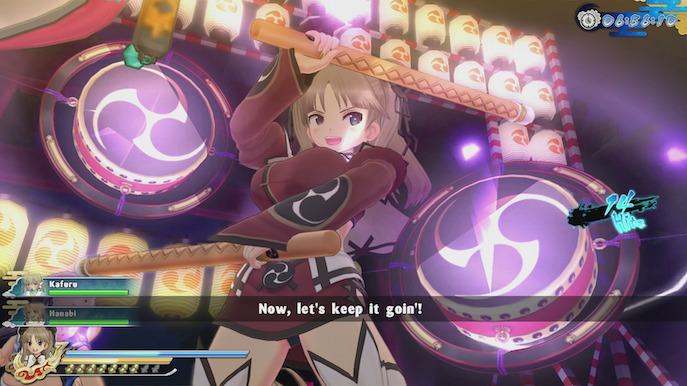 Senran Kagura: Estival Versus is a hot beat 'em up filled with comedy, nonsense, and a whole lot of plot.